"Solitude in the City" Central Park New York. I had been shooting for several days in and around Manhattan when the worst storm in 20 years blew in on a Friday and lasted through Sunday. The Governors in several states banned driving personal vehicles on the public highways for a couple days. 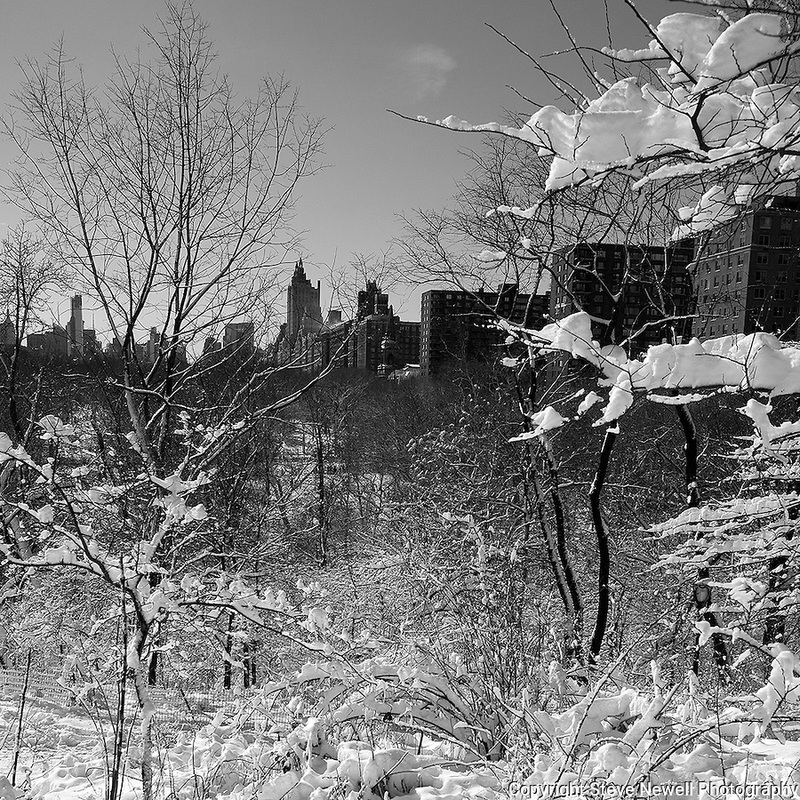 Being from Lake Tahoe I came prepared for the storm and was excited to capture New York City and Central Park with fresh snow. The contrast of the abundant tall buildings surrounding Central Park was surreal. The loud noise of the city's activity was replaced with the solitude of nature inside the parks boundaries. The birds enjoyed the exposed water in the ice ponds and weren't bothered in sharing the experience with their human companions visiting the park for the day. Many families took to the park to play in the fluffy deep fresh snow with sleds for the hills and entertaining snow ball battles. I still found myself at times insulated from the park visitors and the bustling city by the absolute quietness nature offers in the isolated mountains of my home town. Black and white photography is still my favorite so you will see many images offered in Color and BW.